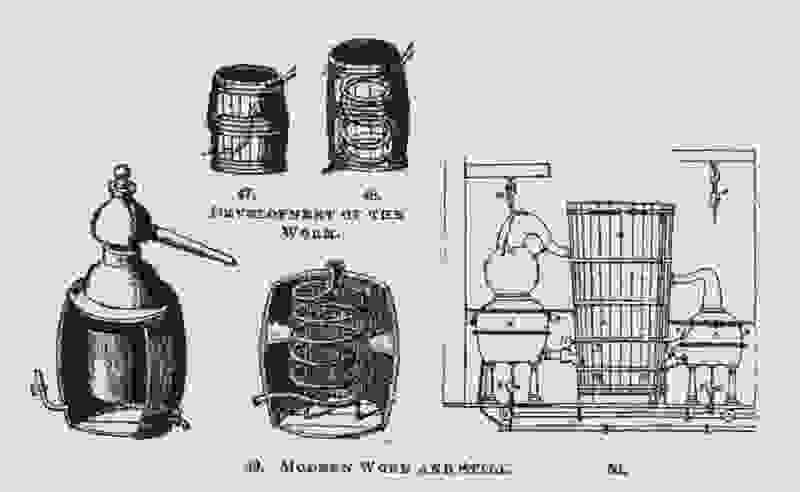 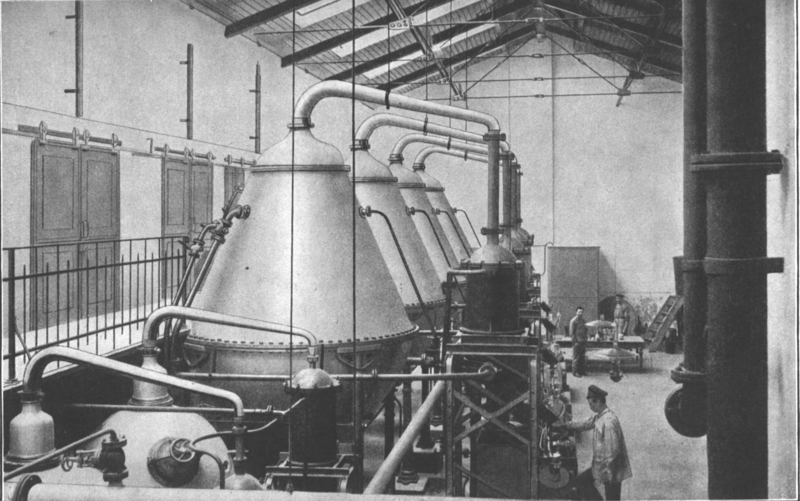 The first steam distillation stills were filled with water, direct fire was used to obtain the steam. 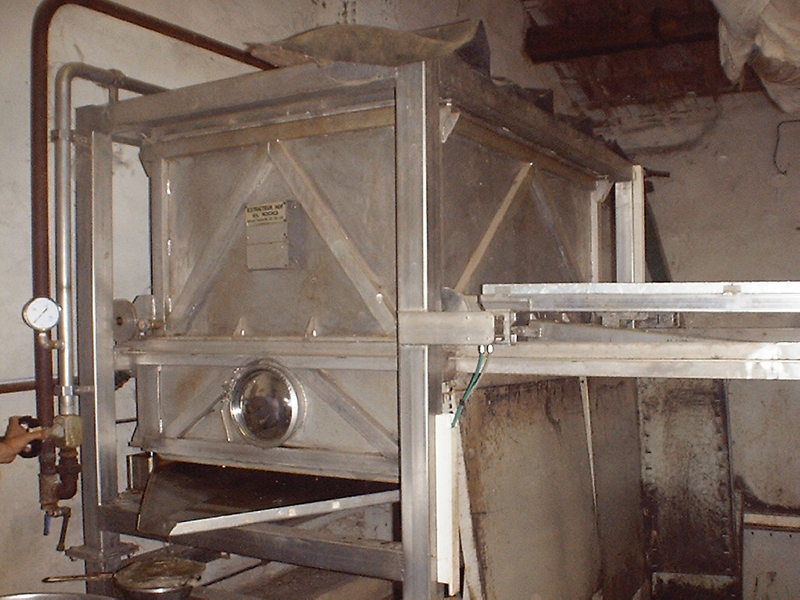 into the water anymore, but were separated with a “grille”. 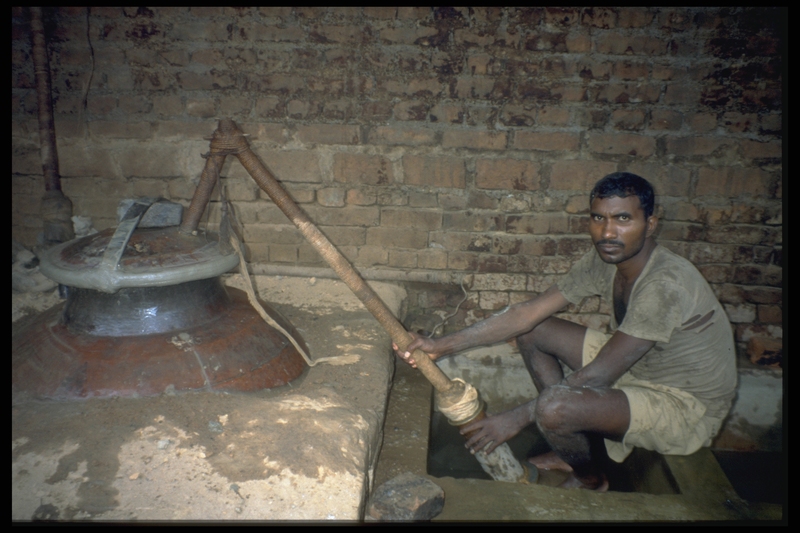 You can still see this kind of still, usually in developing countries. 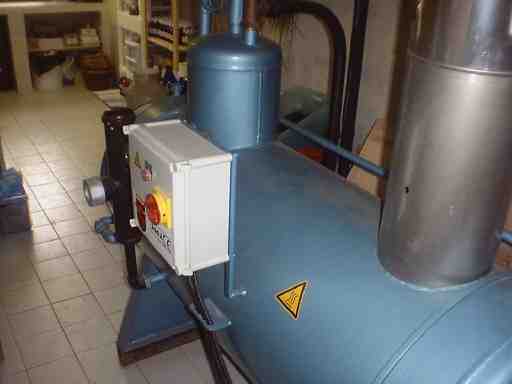 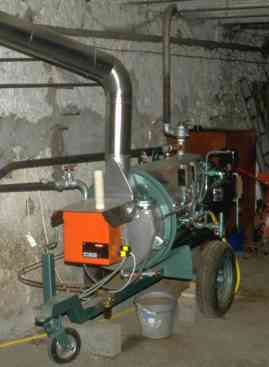 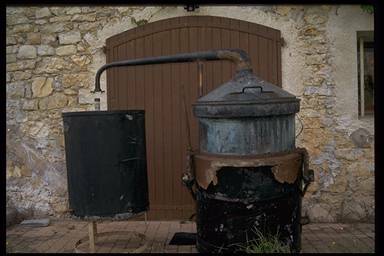 Some recent steam generators, used by small scale working distillers, France. 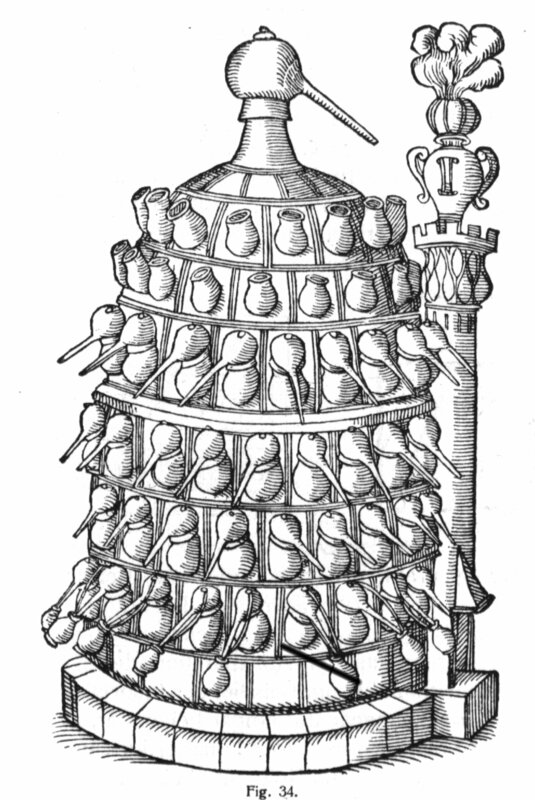 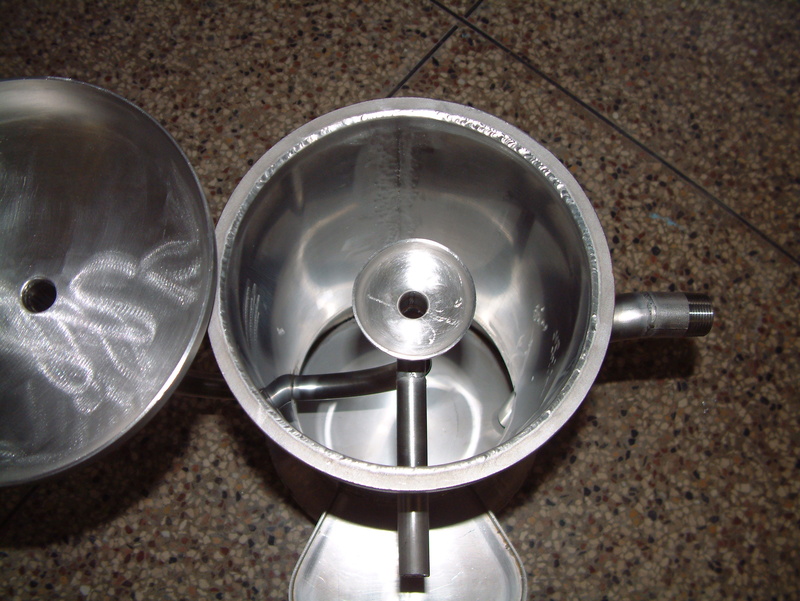 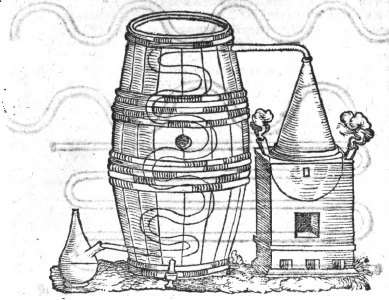 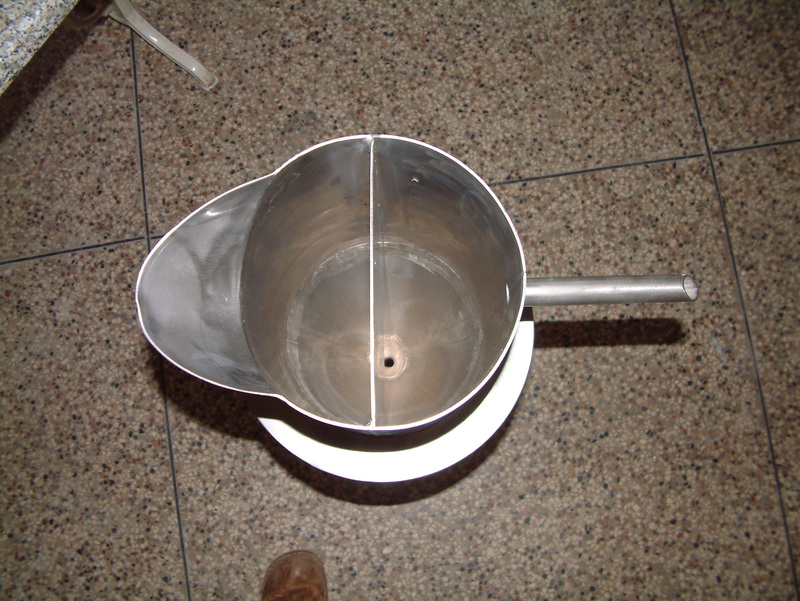 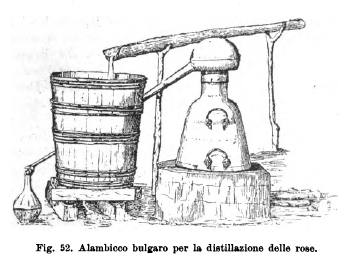 The separation of the two products of distillation is done with a so called Florentine vessel. 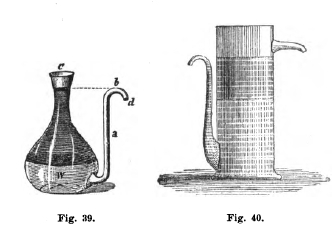 There are different variations and techniques, all based on the fact that essential oils are not water soluble: they are floating (most cases), or they are heavier than water. 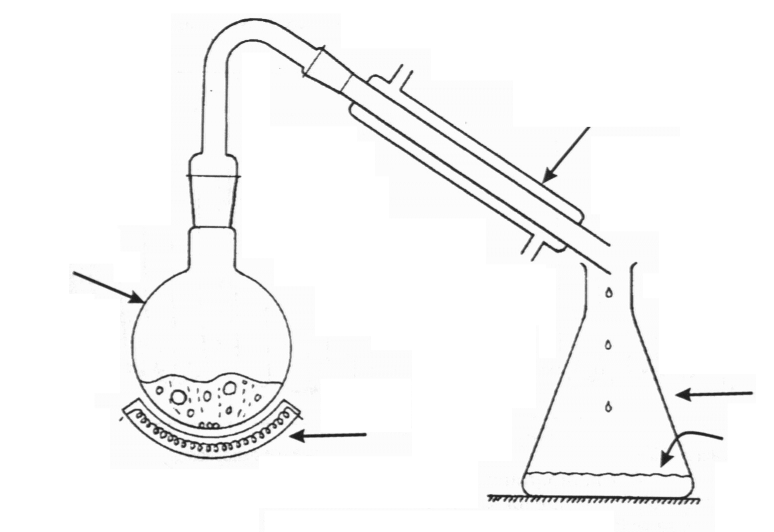 We are thus separating the water from the essential oil. 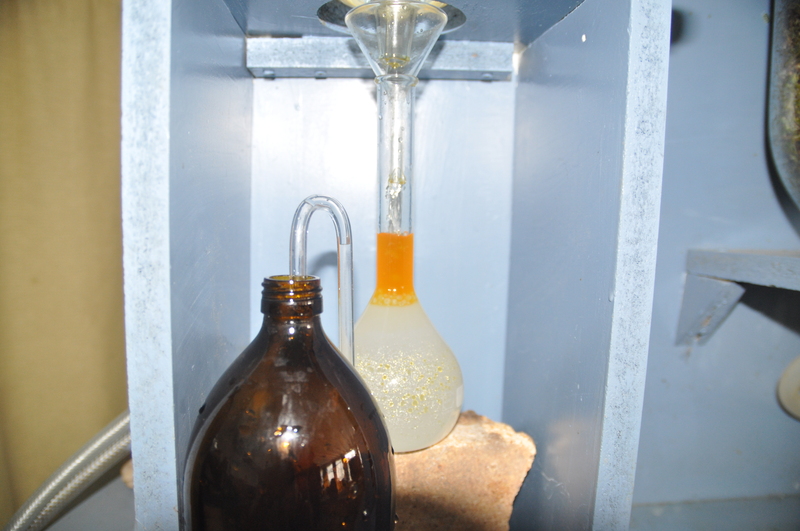 My own small scale glass distillation unit. 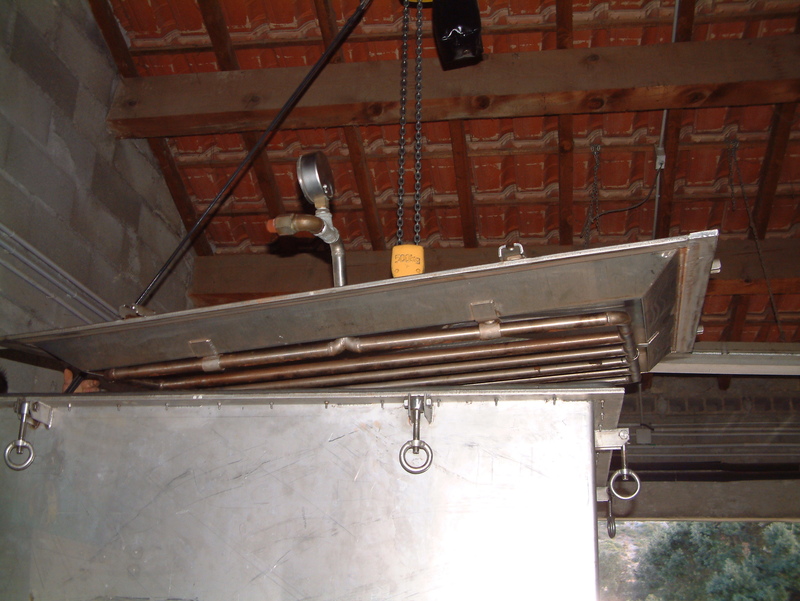 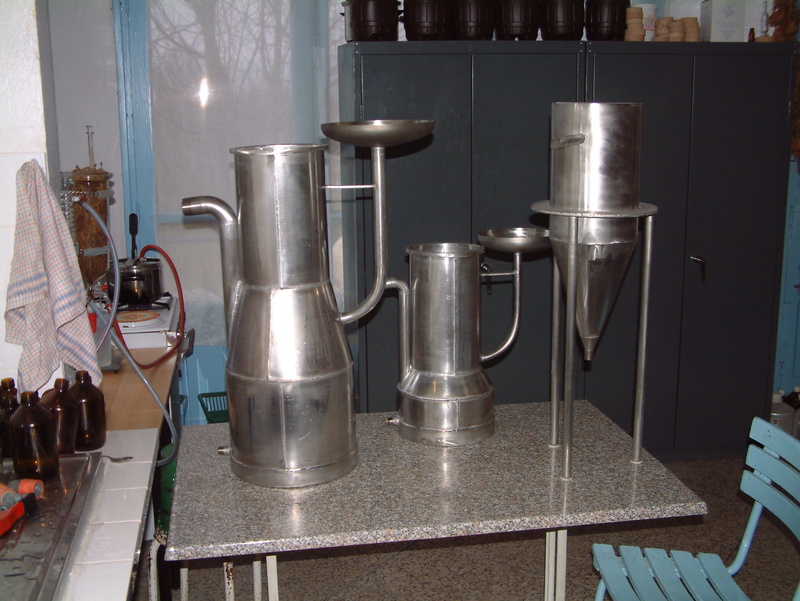 Modern Florentine vessels, own production, last image: a Florentine vessel for the heavy oils. 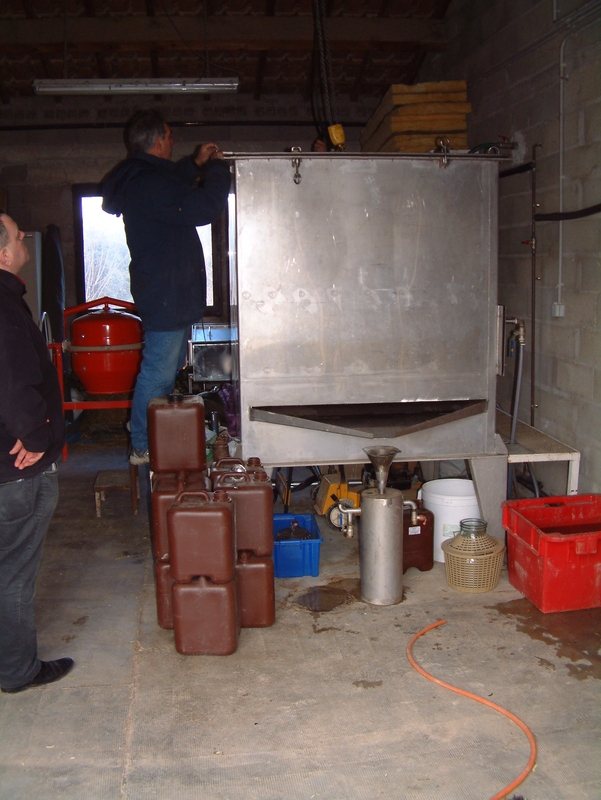 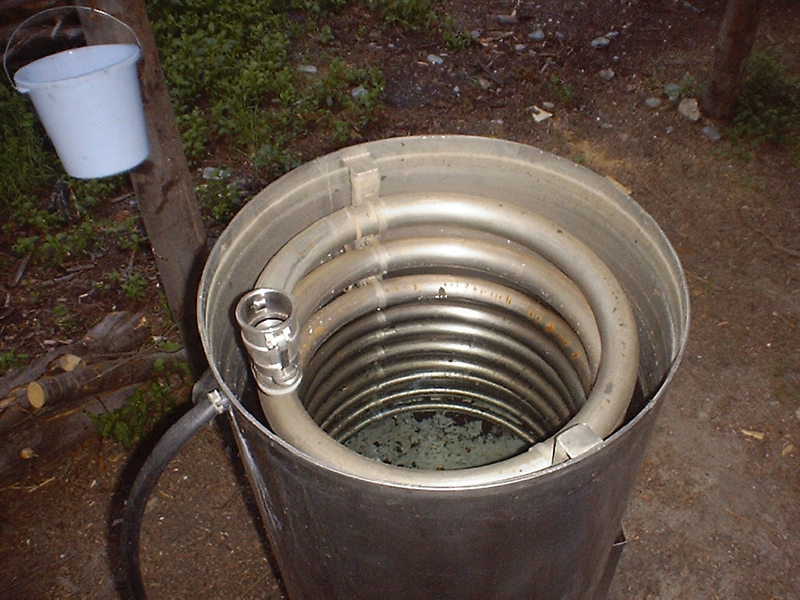 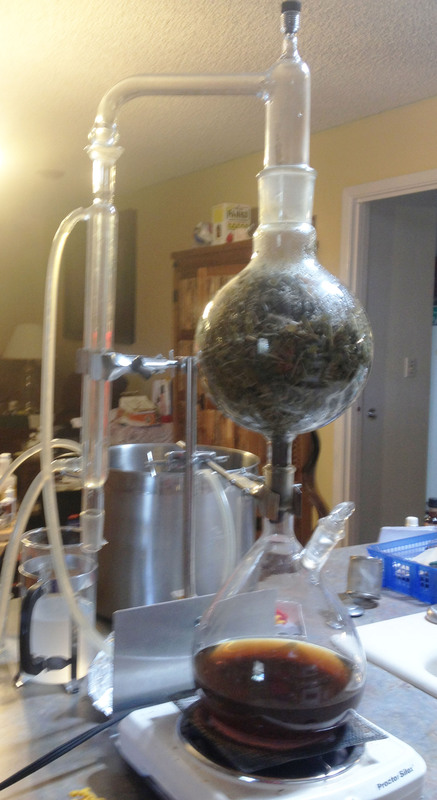 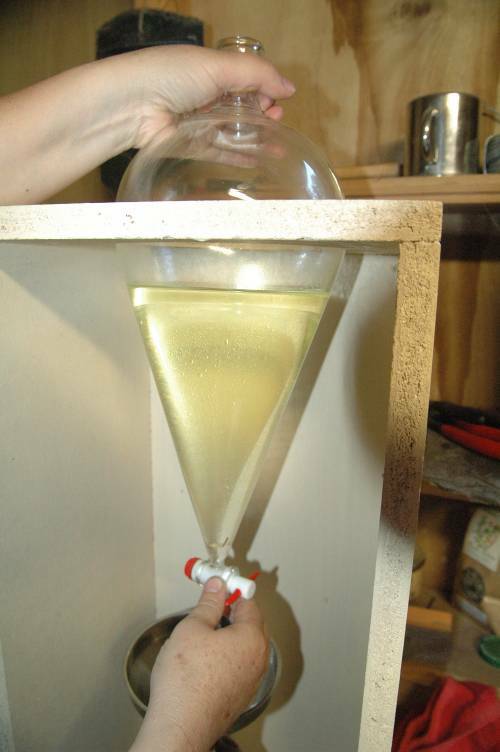 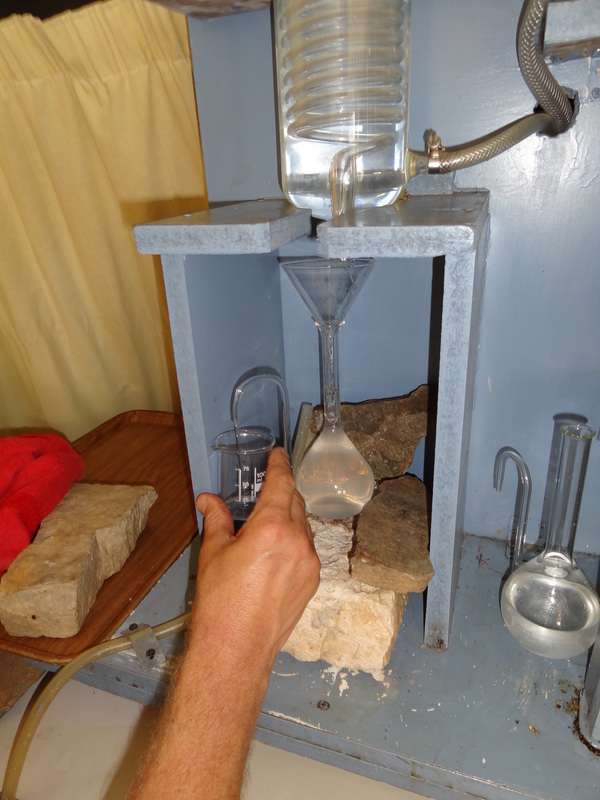 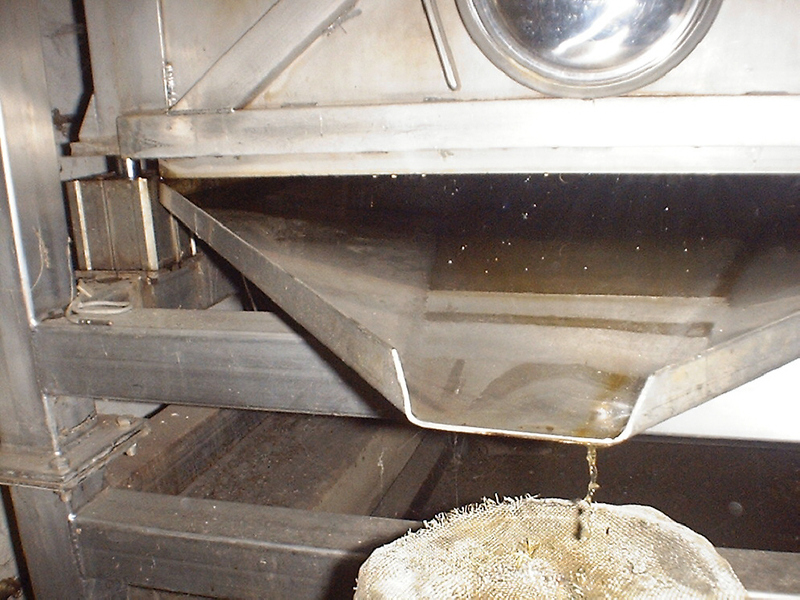 Separating essential oils: final step: condenser, waiting until water and essential oils are separated, then first removing the water and finally collecting the essential oil.